ETI has used its vast experience in temperature measurement, together with the latest technology, to create the ThermaData range of small, cost-effective data loggers, Wi-Fi loggers and Bluetooth® wireless thermometers. All of which have been designed for ease of use and reliability. Data loggers are electronic devices that record temperature over a period of time for analysis at a later date. The user chooses what information is required and the data logger records it. The data-loggers incorporate a thermistor sensor that measures the temperature, and the data-loggers internal microprocessor chip then stores the data. The stored data can then be transferred to a computer, via a USB cradle, for further analysis at a time convenient to the user. The EC food industry directive suggests that organisations involved in food preparation, storage or transportation should have the ability to verify that the temperature of food has been kept at the correct levels. This is often referred to as due diligence. 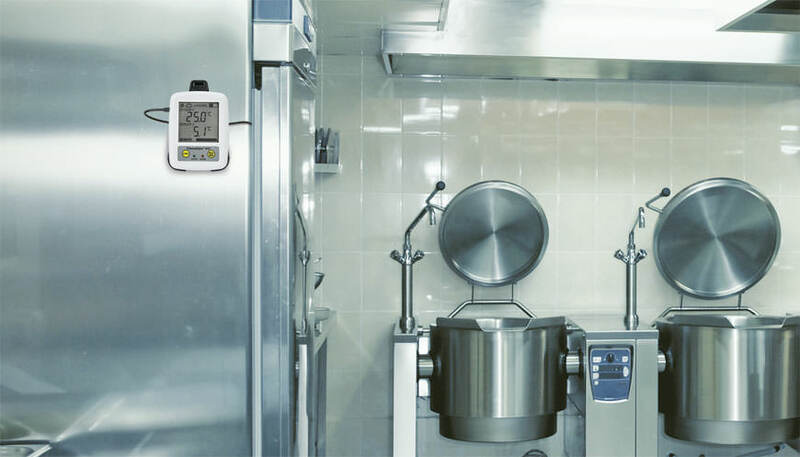 Data-loggers offer organisations a method of complying with food industry legislation by offering traceability from the moment the food is received to the time it is delivered to the customer. For shippers, data-loggers can verify that conditions within the transportation vehicles have been maintained within the specified levels. For growers of fresh produce, data-loggers provide an accurate record of temperatures during the life-cycle of a product, from farm to plate, i.e. during growth, preparation and transportation of produce, thus ensuring best quality. The ThermaData WiFi loggers utilise the latest WiFi wireless technology. The WiFi loggers are a temperature monitoring system that remotely record the temperature of appliances and buildings. Each logger transmits the recorded data to a WiFi router connected to the internet which can be remotely accessed and viewed from a PC, laptop or tablet anywhere in the world. The Bluetooth® wireless thermometers and probes transmit temperature data to your Android, iOS or Bluetooth® wireless device via a secure connection. These thermometers and probes have been specifically designed to eliminate the need for wires and connectors which often cause many traditional probes to break or fail. ETI's in-house UKAS calibration laboratory offers certification for both temperature and humidity data-loggers. Each certificate indicates deviations from standards at five temperature or humidity check points.